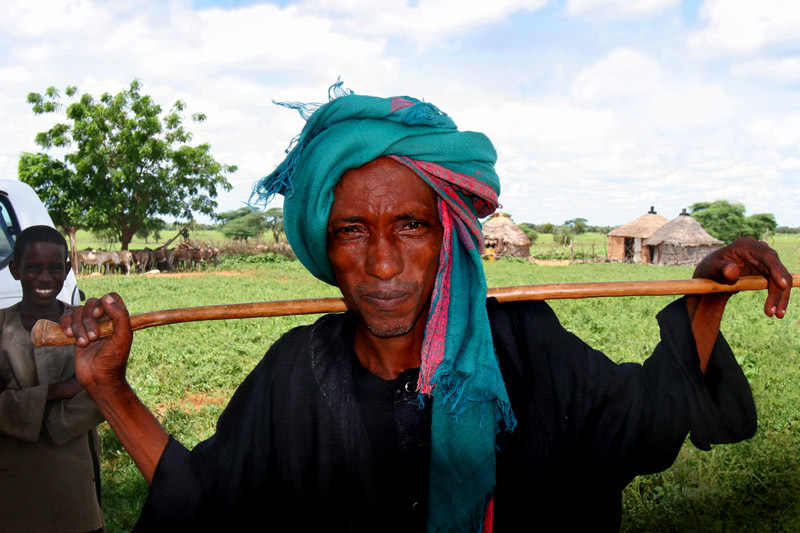 The Fulani are nomadic cattle herders found across the Sahelian grasslands from Sengal to Central Africa. In Senegal, most Fulani are now associated with a village as more and more wells provide water for their animals and stronger houses are preferred to those that were temporary. Still, if grass becomes sparse, Fulani men continue in the old tradition to migrate with their animals for a few months while the majority of the family remains in the village. This "gaynaako" located in the village of Wenndu Seynu on the outskirts of Linguere is carrying his shepherd's rod called a "sowru" in the customary manner.